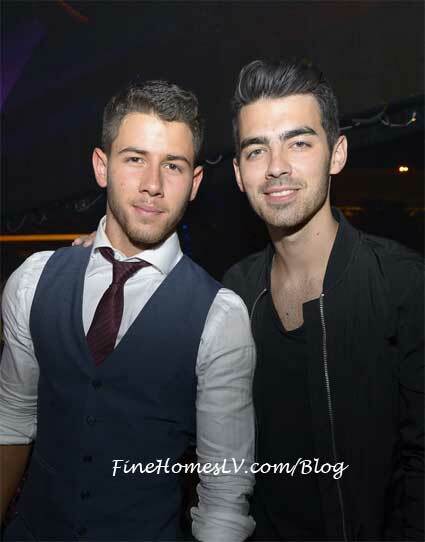 The handsome crooner was gathered by 30 of his closest friends for an all-out bash at the Wynn Las Vegas hot spot. The group arrived shortly after midnight and was welcomed with an entourage of nightlife staff waving wands, popping confetti showers. Parading the group through the crowd as the giant LED screen above the DJ booth announced their arrival to screaming fans. Seated next to the stage, the group took over the area and the guys quickly paired off with their significant others. Noticeably absent from the party was brother Kevin and sister-in-law Danielle. 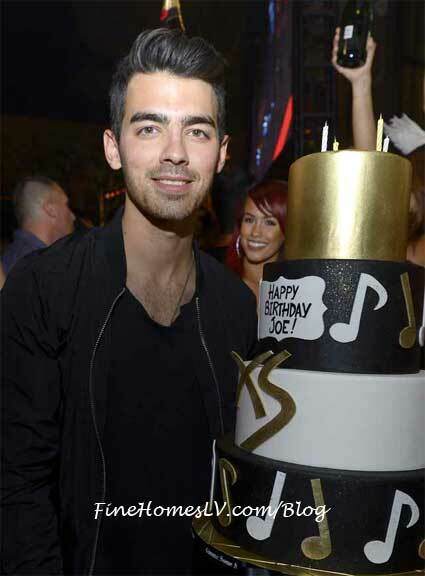 The new parents skipped the Vegas trip but both sent happy birthday tweets to Joe earlier in the day. Joe was with his brother Nick and his girlfriend, former Miss USA Olivia Culpo. before breaking off and spending time with several of his fellow bachelor buddies. A four-tier birthday cake with champagne and sparklers was delivered for the occasion. Joe blew out his candles and posed for pictures while the group sipped on cocktails, and a few of the gents, including Nick, indulged in cigars. Nick was the life of the party, dancing on the couch and making sure his brother was having a great time before breaking away to demonstrate his affection for Olivia, sharing kisses in between photo opps with friends. An hour later, a leggy blonde appeared to join the party and gain Joe’s admiration. The heart throb was spotted spending a lot of time chatting up the beauty, said to be a friend who happened to be in town at the same time, wearing a black bustier paired with a tight pencil skirt. 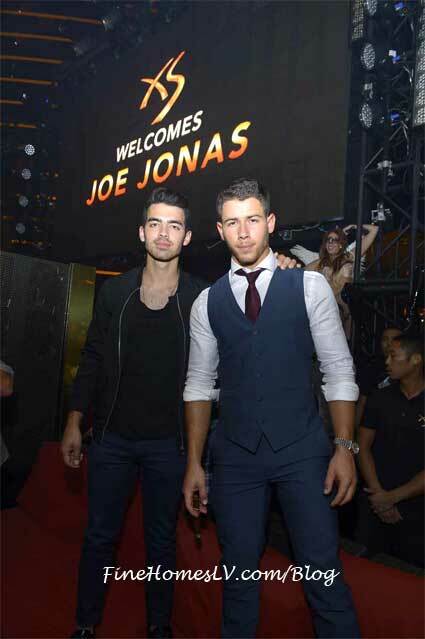 The trio first visited XS for Nick’s 21st birthday last September, including Joe’s now former girlfriend Blanda Eggenschwiler in the party. Shortly after, they announced that the Jonas Brothers would dissolve to focus on individual projects. Nick recently celebrated his new single, “Chains” at XS, and Joe has been spotted several times, especially fond of resident DJ Diplo’s sets.